A sink hole is growing on the North Lawn of the White House. We will resist the temptation for commentary and jokes. 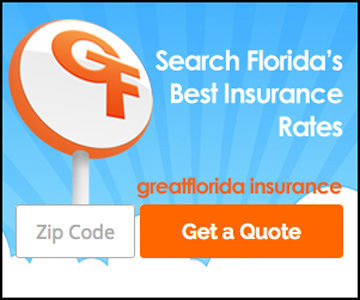 “Sinkholes are nothing new to Floridians,” says Ellsworth Buck, Vice President of GreatFlorida Insurance, Florida’s largest independent homeowner insurance provider. However, concerning experts, are the recent heavy rains throughout the state, that may lead to additional sinkholes. Such as the ones in The Villages or the more than a dozen that opened in an Ocala neighborhood earlier this month. Dr. Randazzo says last year’s Hurricane Irma is responsible for over 400 sinkholes. Recent heavy rainfall is exacerbating the problem. Sinkholes occur in Florida so often because the peninsula is made up of porous rocks such as limestone or sandstone, which can dissolve over time as they interact with acid naturally occurring in rainwater, according to the Florida Department of Environmental Protection. So, what happens if a sinkhole develops near or on your property? Florida law requires insurance companies to provide coverage for catastrophic ground cover collapse. Florida homes do not require inspection for the possibility of sinkholes. Also, most builders do not have them inspected, because of the additional expense. It is impossible to predict when and where the exact location of a sinkhole might develop. Only a licensed, professional geologist with training in identifying sinkholes, might be able to determine the possibility of sinkhole activity. It is important to keep in mind, not all potential sinkhole activity can be identified. As a protection to buyers, home sellers are required to disclose when a sinkhole claim was made on a piece of property and the amount that was paid to repair the damages. You can call the Florida Department of Environmental Protection at 850-245-2118, with a sinkhole question.